Osun State Government has disclosed its readiness to collaborate with the National Unity and Peace Corps of Nigeria, NUPEC, on the need to strengthen security in all the public schools in the state. 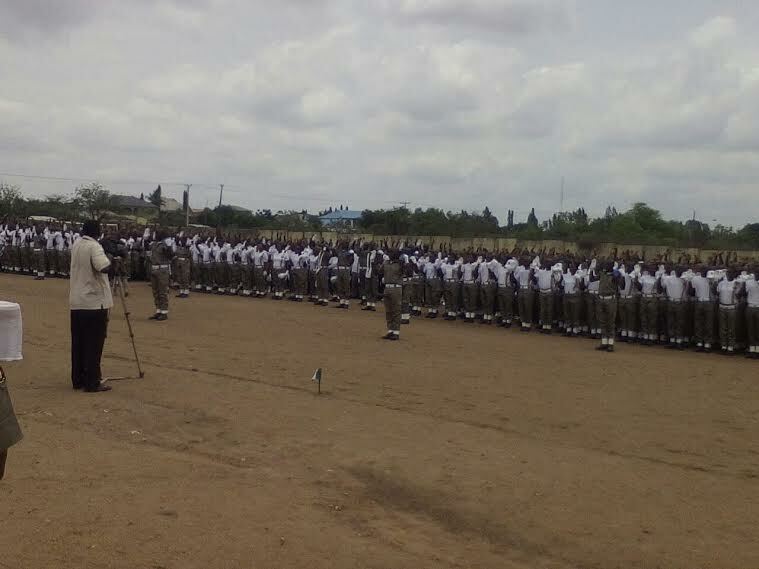 The disclosure was made by the Deputy Governor, Mrs. Titilayo Laoye Tomori, during the passing-out parade of NUPEC, at Camp-Young, Ede, Osun State. Mrs. Tomori who doubled as the Commissioner of Education, said the decision was taken in line with the government’s policies to provide quality, functional and quantity education. The Deputy Governor who was represented by her Special Assistant on Education, Mr. Niyi Idowu, condemned the incessant cultism, thuggery and hooliganism among the pupils of public schools, saying plans are top gear to restore sanity, decency, discipline and integrity back to schools. The Deputy Governor maintained that the state would continuously deploy the necessary mechanism to engender peace and unity among the pupils across the schools in the state. Mrs. Tomori reassured the parents and guardians of the state readiness to collaborate with the paramilitary organization-NUPEC in its bid to provide adequate security in all the public schools in the state. Mrs. Tomori who attributed the palpable decadence and rots in education to what he regarded as “negligence of necessity” by the past administrations, said the current government would leave no stone unturned to enhance functional education in the state. The Deputy Governor revealed that the state in collaboration with relevant agencies had reached compromise on the need to ensure proper monitoring of all the activities in the state public schools so to cushion all forms of gangsterism and cultism among the pupils. She noted that the state, having prioritized education would not look focus to ensure the provision of strongly competitive products in all the public schools in the state. “We are partnering with NUPEC on security consciousness in all our public schools so as to banish all forms of immorality in the state. “Our resolve at this was to instill discipline and inculcate virtues in our children by promoting civic and “Omoluabi” ethos among the pupils. “Our government would not for whatever reason condone immorality of any form just as we are ever ready to strengthen peace and unity and as well promote peaceful cohabitation among the pupils in our schools. “As we are resolute and firm in our educational policies and programmes, so shall we remain in creating an enabling environment to ease teaching and learning process in all our schools. “Based on these lofty policies, our government would not hesitate to partner with any organization, group and association on the protection lives and property as well maintenance of law and order”, she said. She therefore implored all members of the organization to continuously champion peace and unity of the country in all their activities. Earlier, the Commandant General, NUPEC, Dr. Chinedu Nneji who was represented by his Assistant, Dr Frederick Obidiegwu, commended the state command of the organization for being united and resolute in all its actions and inactions. Dr. Nneji who described peace as a sine qua non to development said, the organization would continue to promote peace and unity of Nigeria and Nigerians. 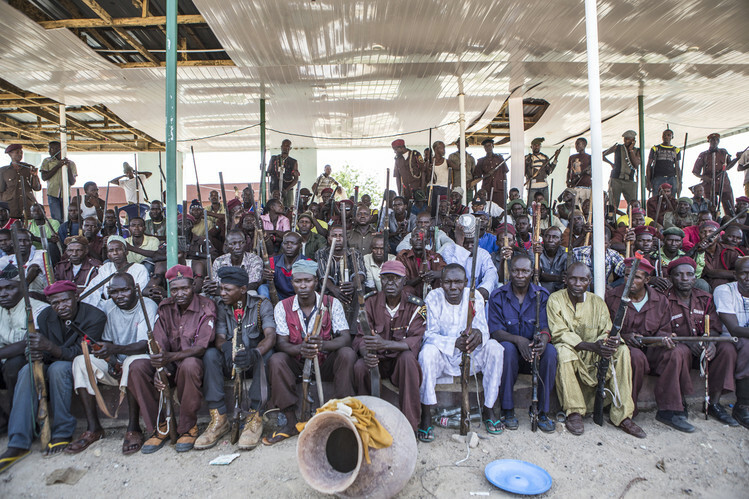 He called on the members of the organization across the country to remain united while discharging their responsibilities as paramilitary agents. In his remarks, the State Commandant, National Unity and Peace Corps, NUPEC, Mr. Ayodele Oluwatoyin, lauded the efforts of the present administration on security which according to him has yielded significant results over the months. 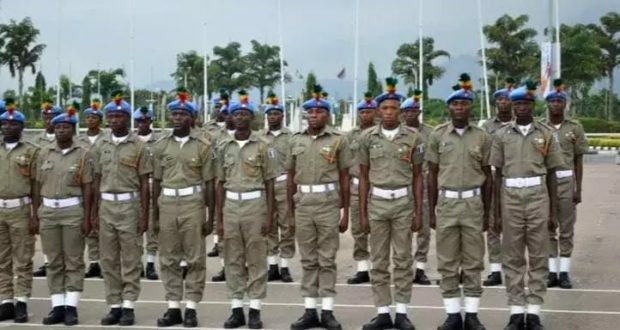 Commandant Oluwatoyin who described the organization as an essential non-security service outfit, said it was ready to deploy non-violent strategies to solve some of the societal problems in the country. He noted that NUPEC was fully ready to promote peace and unity among Nigerians, saying efforts have been intensified to continuously nurturing up a new generation of Nigerians who will be accommodating, tolerating and pacific towards religious, political and social issues. 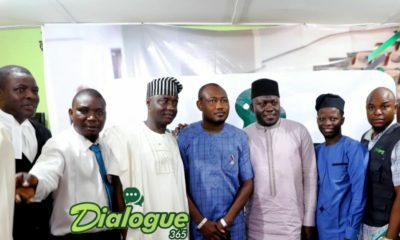 Oluwatoyin said the organization was bent on the need to bring together Nigerian people as an invisible and indissoluble entity by eradicating ethnicity, tribal acrimonious tendencies, religious wrangling and dissension which he said had been devastating the peace and unity of the country. The NUPEC State Commandant disclosed the organization’s readiness to cooperate and synergize with Federal, States, Local Governments, Military, Paramilitary organizations, educational institutions, social and charitable organizations to build a new Nigeria. 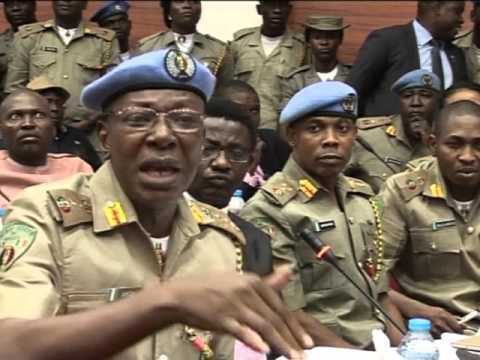 Mr. Oluwatoyin stressed that the organization was keenly interested in working as helping hands with other security agencies to restore peace to every nook and cranny of the country, having been informed that the greatest legacy one can sincerely bestow to the country was to support the search for lasting peace and unity. calls for the establishment of a virile and unified peace organization that is free from tribal, political or religious backgrounds. Mr. Oluwatoyin said the time has come for NUPEC to complement efforts being made by the government to restore unity and peace in Nigeria. “We are coming up with identity devoid of societal ill by abolishing stateism, ethnicism as well as Norther/Nouther dichotomy through the promotion of mutual understanding, teaching and indoctrinating the youths into accepting Nigeria as one nation of one people destined to live together. “Our belief is that Nigerians must live in peace because they are tied by advanced human affinity as members of one family destined to live together, tolerate one another wherever they are. “It is our candid belief that every Nigerian must seek for true peace by all means so as to ensure that the country doesn’t engage in another senseless internecine war which continues to damage the faith we have in ourselves as a people united by one goal, ideal and purpose”, he added. Mr. Oluwatoyin said the organization as a non-security uniformed voluntary outfit was commissioned to operate in mediating capacity where there are crises by ensuring total achievement of worthy goals of national unity and peaceful coexistence.. He added that the organization would continuously involving in conflict resolution, total harmony and unity and as well by engendering peaceful accommodation and tolerance among communities. 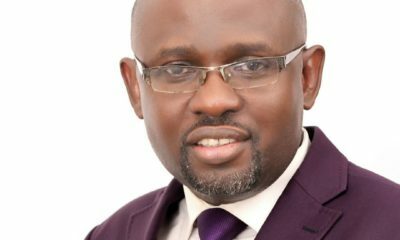 Oluwatoyin therefore appealed to the Federal Government to, as a matter of urgency speed up the legislation process of the organization which according to him had reached third-reading stage in the National Assembly, so as for it to commence the operation in earnest. 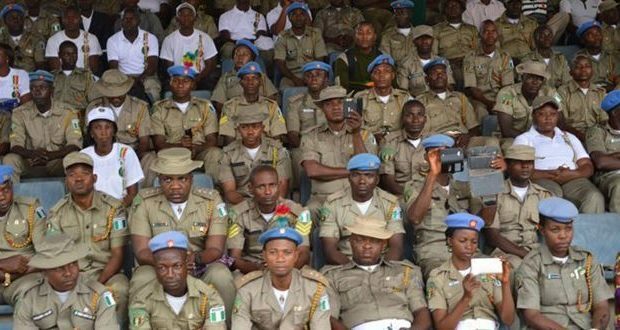 TuesdayRapAround: Between Peace Corps And State Police: Which Is Preferred?